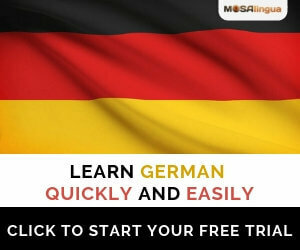 Liebeslied – Love Song What’s the difference between walking a marathon and learning German? Strammer Max is a very popular and simple meal (Hausmannskost) or pub meal (Kneipenessen) in Germany. 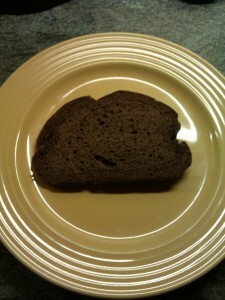 All you need is a slice of rye bread (or two, if you like). 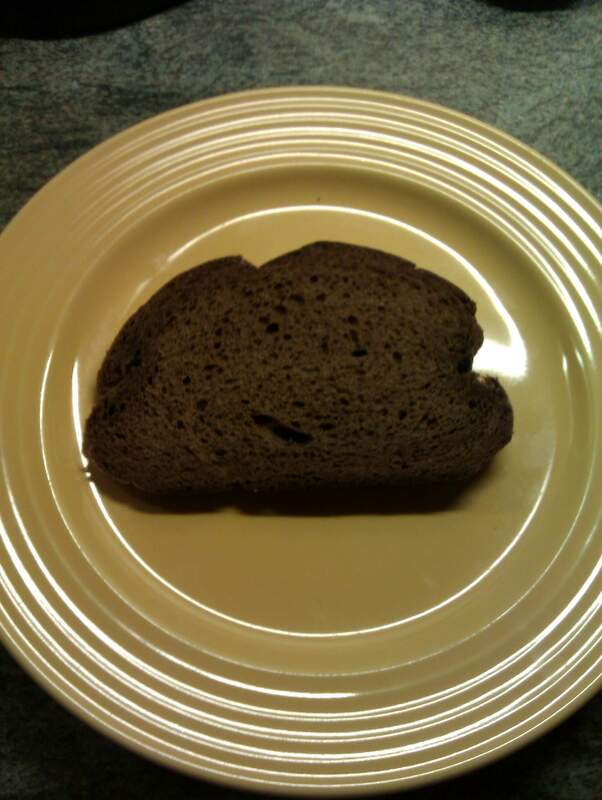 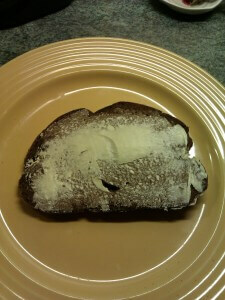 I used bread from a German baker, the rye bread you can get in the supermarkets looks different. 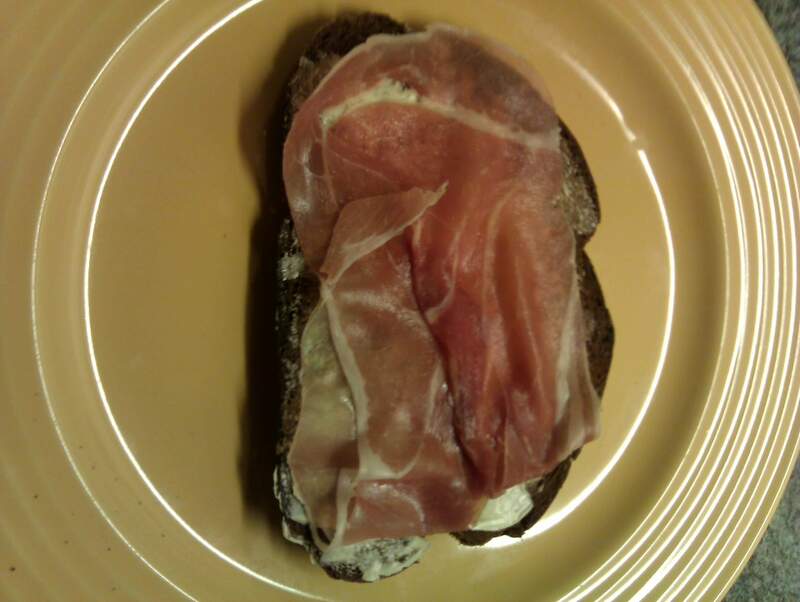 Add a slice of Westphalian Ham or Parma Ham. 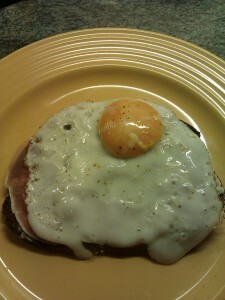 Fry an egg and place it on top of the ham, if wished add salt & pepper.